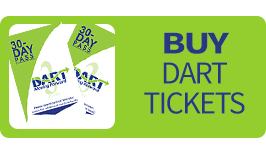 After statewide Public Hearing Workshops, DART listened to its riders and the public; as a result changes were made to the original proposal. The "Bold type" indicates a change from or an addition to the original proposal based on public comments. Please visit DartFirstState.com for Accessible Schedules for easy reference. New schedules will be available on buses in mid-May. 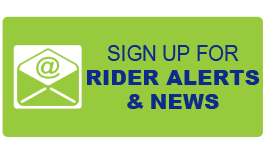 Route 2 - Weekday service will be improved to operate every 20 minutes between 6 a.m. and 7 p.m.
Route 6 - Weekday service will be improved to operate every 20 minutes between 8 a.m. and 3 p.m., and additionally from Newark between 4:50 p.m. and 6:10 p.m.
Route 8 - Saturday service will operate every 55 minutes instead of every 45 minutes to improve on-time performance. Route 13 - More weekday trips will serve Airport Plaza Shopping Center during the morning and afternoon rush hours. Route 15 - The "Limited Stop" designation of one weekday trip in each direction will be removed so that all stops on New Castle Avenue between Cherry Lane and Walnut Street will be served. Based on public comment, these two trips will continue to serve New Castle Avenue (Wilmington Road) between Landers and Moores Lanes. In addition, eight bus stops in this segment that are closely spaced and/or generate sparse or no riders per day, will be discontinued. Route 25 - Based on public comment and discussions with Amazon (New Castle Facility) to meet more shift times, additional weekday trips will be extended into Amazon at these times: 9:12 and 10:38 a.m., 4:43 and 10:02 p.m. from Wilmington to Amazon, and 9:45 and 11:45 a.m. and 10:20 p.m. from Amazon to Wilmington. Route 31 - Based on public comments regarding shift times at Bellevue Corporate Center and SEPTA train connections, two afternoon trips were adjusted by 10 minutes. Route 33 - Seven existing trips will be extended to serve Fairplay Station to connect with SEPTA trains, replacing Route 59 service. 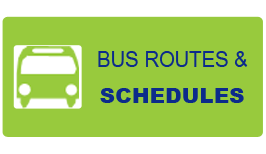 Route 35 - Weekday trip times will be adjusted to compliment Route 2 service improvements. Route 40 - The last weekday trip from Wilmington will operate via DE 7 to Glasgow. Route 59 - Route will be discontinued due to low ridership. Route 33 provides trip opportunities and connections between Wilmington, Fairplay and Newark Train Stations. Route 5 - Maryland Ave. at Fallon Ave., Maryland Ave. opposite Cedar St. where the stop will be relocated to Maryland Ave. at Latimer St. / Larch Ave. where the intersection allows for safer pedestrian crossings. Route 13 - Philadelphia Pk. at Eskridge Dr. and Philadelphia Pk. opposite Eskridge Dr.
Route 120 - To improve on-time performance, the route will end at Scarborough Road Park & Ride, no longer serving Dover Mall or the stops in between; however, connections can be made to Routes 106 and 112 to access Dover Mall, and additional destinations south to Dover Transit Center.